Rank Promotions, Graduation Ceremonies, Kung Fu Tours, Seminars, and Training Camps. Keep up to date on what's happening. Traditional Chinese Martial Arts Federation's "SIFU MIXER"
Email tcmaforg@gmail@gmail.com for more information. Traditional Chinese Martial Art's "GOLDEN DRAGON AWARDS BANQUET 2019"
Master Don Hamby's "GATHERING OF THE MASTERS,"
Contact Master Don Hamby at hamby111@earthlink.net for more information. Traditional Chinese Martial Arts Federation presents "THE GOLDEN DRAGON MARTIAL ARTS CHAMPIONSHIPS"
For more information contact: tcmaforg@gmail@gmail.com or at www.tcmaf.org. Contact by email ortizacademy@gmail.com for more information. For more information contact: Grandmaster Lee Kam Wing, leekamwing@hotmail.com or Derrick Wright, wrightskungfu@gmail.com. 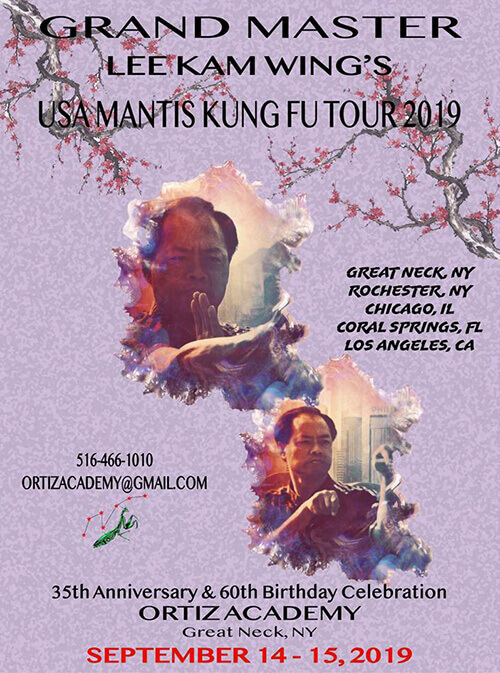 "SEVEN STAR MANTIS STYLE CULTURAL HERITAGE CHINA TOUR 2019"